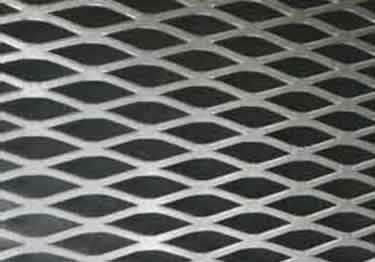 Aluminum Flattened Expanded Metal Sheets are a durable, economic solution for a wide variety of applications including metal: guards, fencing, panels, grating, grilles, screens, shelves, ramps, greenhouses, walkways, infill panels and more! These extremely versatile aluminum sheets are easy to cut to fit and install. The sheets are constructed from flattened aluminum metal that has been cold flattened leaving a smooth, flat surface with diamond shaped openings. 48" x 48" or 48" x 96"
Sheet sizes: 48" x 48" or 48" x 96"
Thickness Ranges from 0.038" - 0.094"
Aluminum Flattened Expanded Metal Sheets are a durable, economic solution for a wide variety of applications including metal: guards, fencing, panels, grating, grilles, screens, shelves, ramps, greenhouses, walkways, infill panels and more! These extremely versatile aluminum sheets are easy to cut to fit and install. Lightweight, shiny-clear, & more scratch-proof than Polycarbonate. However not as strong. Available in 5 thicknesses, 55 sizes. Heavy-duty protection from traffic damage to interior walls with medium density polyethylene diamond plate protection sheets. Peel-&-stick a new accent wall engineered from 100% real wood! Country, rustic, modern, & more, to help fulfill design desires.